Golf course view homes in Dana Point are mainly found in the Monarch Beach area of Dana Point. 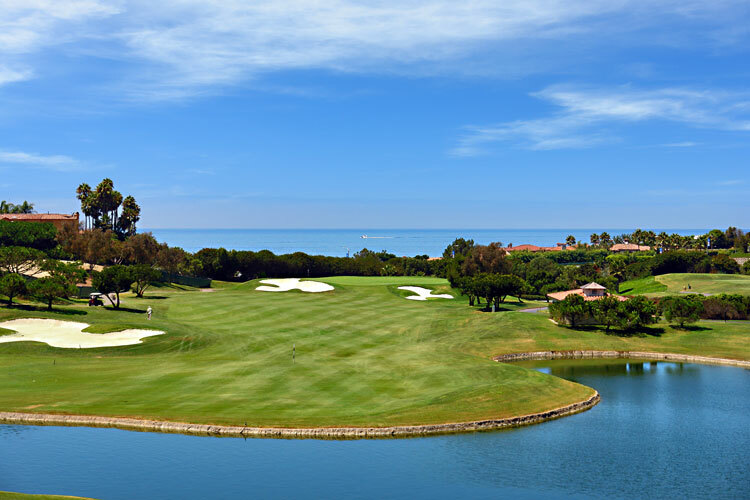 The Monarch Beach Golf Links course is one of the top rated golf courses in Southern California and runs through many of the top communities in Dana Point including the Ritz Cove, Ritz Pointe and Monarch Bay communities. All the current available golf course view homes for sale and for lease are listed below. Please contact us with questions regarding any of these properties. 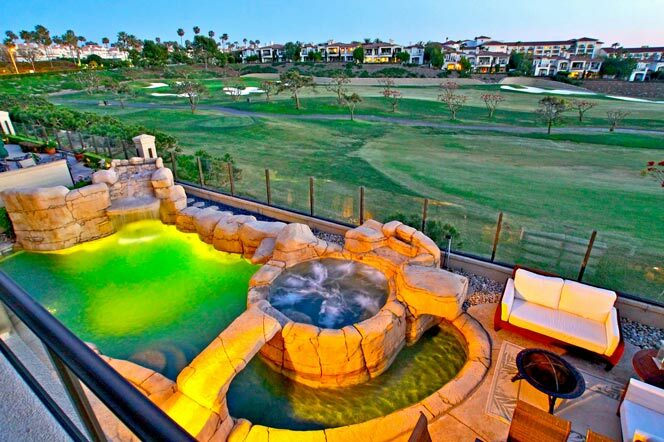 The best golf communities in Dana Point are located in the following communities. The Ritz Pointe community sits directly next to the golf course as pictured below and often offers panoramic ocean and sunset views as well. Within the same gated Ritz Pointe community is another neighborhood called California Cortina. Homes located on the street known as "Cassis" also will have great golf course views. Some of the more expensive homes that can go as high as $20 million dollars will be the Ritz Cove community. These homes sit next to the Ritz Carlton hotel and have great golf and ocean views properties. The Monarch Pointe community is also an upscale neighborhood that offers great golf course views. It's sits just north of the St Regis hotel and offers a private gated entrance.